Join Team Yoga Warriors & feel the vibration of nearly 1200 yogis practicing together with a shared love of yoga & service to the world around you... it's a day you will remember forever! 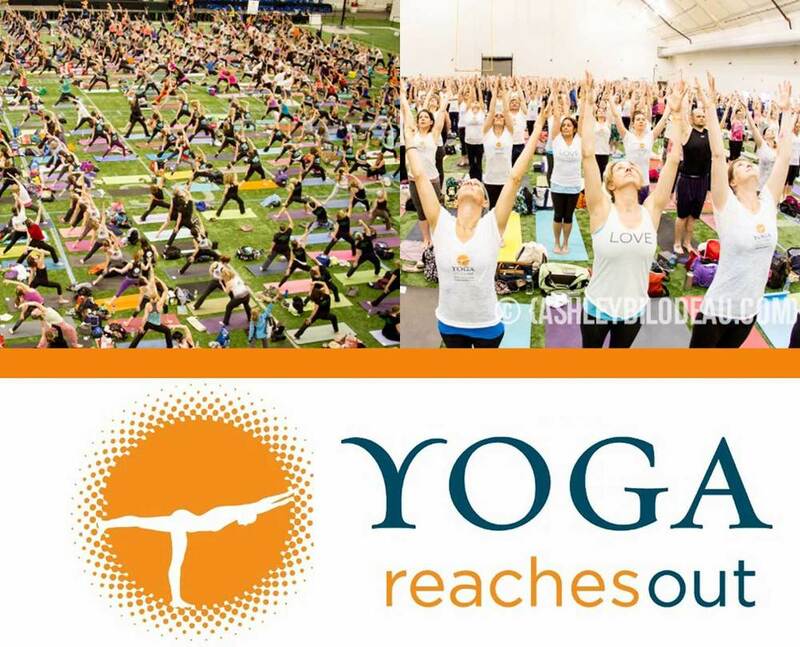 YOGA WARRIOR TEAM MEMBER & EVENT DETAILS: $25 Registration fee & a $250 min. fundraising requirement. You will be floored when you feel & take part in the vibration of love and happiness that fills this massive space while we support the world around us all through practicing yoga lead by incredible teachers in our region with special music guests & the option to check out tables of gorgeous handmade jewelry, delicious foods, clothing & so much more! WHEN: Sunday May 1st, 2016 9am to 5pm *You can come for as little or as much of the event that will fill your heart with a whole lotta happy! Please feel free to reach out with any questions! I’m honored to have your support and to have you in my yoga tribe, Team Yoga Warriors - TOGETHER we're making a huge difference!